Whether it's your first day on snow or you're looking to progress your riding, challenge your skills, and get confident on the slopes the Burton 2019 Ripcord is Burton's board made for the progression of every rider that steps onto it. The Ripcord has a soft flex that will provide you with that fun and playful feel that has you itching to strap into your snowboard day after day. The directional shape provides you a little more ease when advancing your skills to what direction you should be riding, regular or switch. The extruded base on the 2019 Ripcord provides you with a smooth ride and little maintenance to receive that. 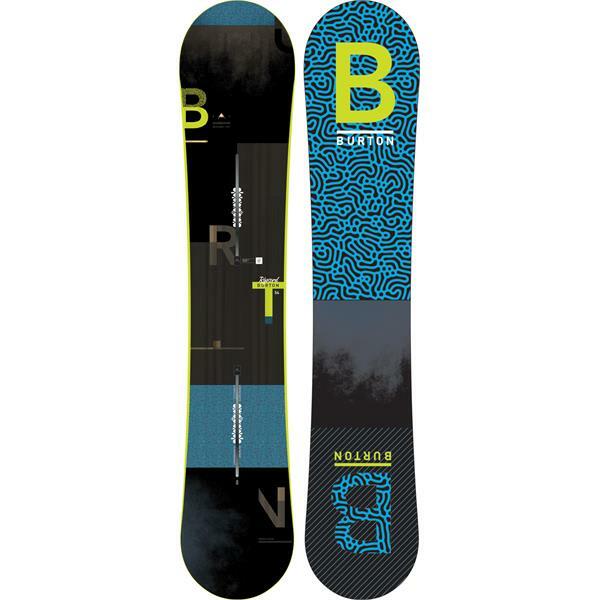 Burton's easy bevel on the gives you a super soft and forgiving feel that also has edges that make it almost impossible to catch when riding. This deck is the holy grail of snowboards for beginners, who are looking to advance their skills on a shred stick. This winter, nail down your skills rocking the 2019 Burton Ripcord. Weight Range 100-150 lbs. 120-180 lbs. 120-180 lbs. 150-200 lbs. 150-200 lbs. 150-200 lbs. 150-200 lbs. 180-260 lbs.